As did the Prophet Joseph, you can have sacred, revelatory, profoundly instructive experiences—even in the most miserable times of your life. 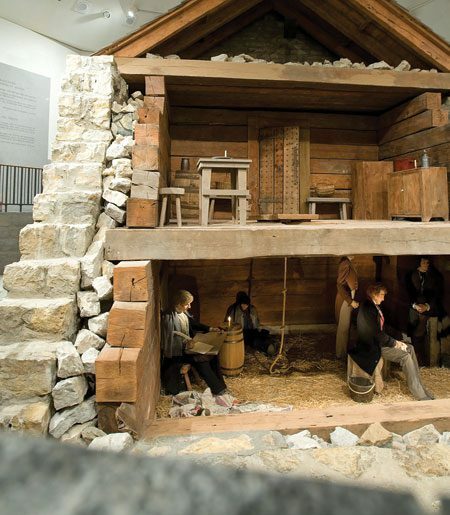 From your study of Church history, you will all know something of the experience the Prophet Joseph Smith and his brethren had while imprisoned in the ironically named Liberty Jail during the winter of 1838–39. This was a terribly difficult time in our history for the Church generally and certainly for the Prophet Joseph himself, who bore the brunt of the persecution in that period. Time does not permit a detailed discussion of the experiences that led up to this moment in Church history, but suffice it to say that problems of various kinds had been building and by October of 1838, all-out war seemed inevitable between Mormon and non-Mormon forces in Missouri. 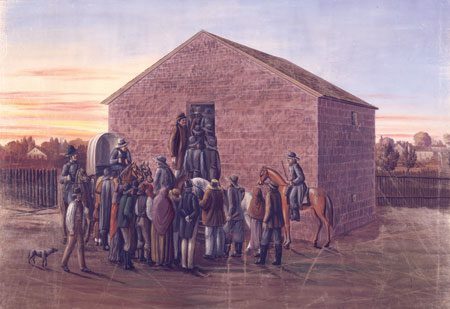 After being driven from several counties in the state and under the presumption they had been invited to discuss ways of defusing the volatile situation, five leaders of the Church, including the Prophet Joseph, marching under a flag of truce, approached the camp of the Missouri militia near the small settlement of Far West, located in Caldwell County. As it turned out, the flag of truce was meaningless, and the Church leaders were immediately put in chains and placed under heavy guard. The morning after this arrest, two more Latter-day Saint leaders, including the Prophet’s brother Hyrum, were taken prisoner, making a total of seven in captivity. Their execution averted, these seven Church leaders were marched on foot from Far West to Independence, then from Independence to Richmond. Parley P. Pratt was remanded to nearby Daviess County for trial there, and the other six prisoners, including Joseph and Hyrum, were sent to Liberty, the county seat of neighboring Clay County, to await trial there the next spring. They arrived in Liberty on Dec. 1, 1838, just as winter was coming on. The jail, one of the few and certainly one of the more forbidding of such structures in that region, was considered escape proof, and it probably was. It had two stories. The top or main floor was accessible to the outside world only by a single small, heavy door. In the middle of that floor was a trapdoor through which prisoners were then lowered into the lower floor or dungeon. The outside walls of the prison were of rough-hewn limestone 2 feet thick, with inside walls of 12-inch oak logs. These two walls were separated by a 12-inch space filled with loose rock. Combined, these walls made a formidable, virtually impenetrable barrier 4 feet thick. In the dungeon the floor-to-ceiling height was barely 6 feet, and inasmuch as some of the men, including the Prophet Joseph, were over 6 feet tall, this meant that when standing they were constantly in a stooped position, and when lying it was mostly upon the rough, bare stones of the prison floor covered here and there by a bit of loose, dirty straw or an occasional dirty straw mat. “Pen, or tongue, or angels,” Joseph wrote, could not adequately describe “the malice of hell” that he suffered [in Liberty Jail]. “We have . . . not blankets sufficient to keep us warm,” he said, “and when we have a fire, we are obliged to have almost a constant smoke.”4 “Our souls have been bowed down,”5 and “my nerve trembles from long confinement.”6 “Pen, or tongue, or angels,” Joseph wrote, could not adequately describe “the malice of hell” that he suffered there.7 And all of this occurred during what, by some accounts, was considered then the coldest winter on record in the state of Missouri. Most of us, most of the time, speak of the facility at Liberty as a “jail” or a “prison”—and certainly it was that. 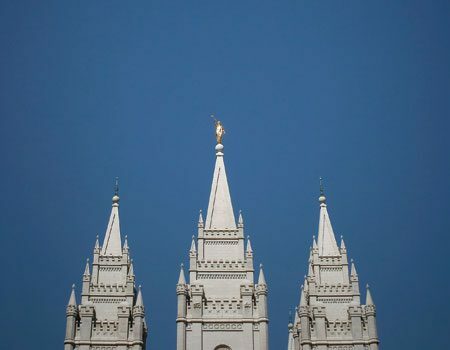 But Elder Brigham H. Roberts, in recording the history of the Church, spoke of the facility as a temple, or, more accurately, a “prison-temple.”8 Elder Neal A. Maxwell used the same phrasing in some of his writings.9 Certainly it lacked the purity, the beauty, the comfort, and the cleanliness of our true temples, our dedicated temples. The speech and behavior of the guards and criminals who came there was anything but templelike. In fact, the restricting brutality and injustice of this experience at Liberty would make it seem the very antithesis of the liberating, merciful spirit of our temples and the ordinances that are performed in them. 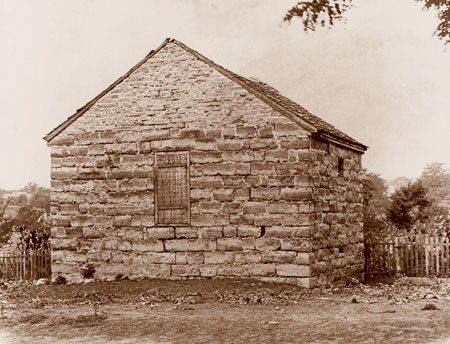 So in what sense could Liberty Jail be called a “temple”—or at least a kind of temple—in the development of Joseph Smith personally and in his role as a prophet? And what does such a title tell us about God’s love and teachings, including where and when that love and those teachings are made manifest? We love and cherish our dedicated temples and the essential, exalting ordinances that are performed there. We thank heaven and the presiding Brethren that more and more of them are being built, giving more and more of us greater access to them. They are truly the holiest, most sacred structures in the kingdom of God, to which we all ought to go as worthily and as often as possible. But tonight’s message is that when you have to, you can have sacred, revelatory, profoundly instructive experience with the Lord in any situation you are in. Indeed, let me say that even a little stronger: You can have sacred, revelatory, profoundly instructive experience with the Lord in the most miserable experiences of your life—in the worst settings, while enduring the most painful injustices, when facing the most insurmountable odds and opposition you have ever faced. Now let’s talk about those propositions for a moment. Every one of us, in one way or another, great or small, dramatic or incidental, is going to spend a little time in Liberty Jail—spiritually speaking. We will face things we do not want to face for reasons that may not have been our fault. Indeed, we may face difficult circumstances for reasons that were absolutely right and proper, reasons that came because we were trying to keep the commandments of the Lord. We may face persecution; we may endure heartache and separation from loved ones; we may be hungry and cold and forlorn. Yes, before our lives are over we may all be given a little taste of what the prophets faced often in their lives. But the lessons of the winter of 1838–39 teach us that every experience can become a redemptive experience if we remain bonded to our Father in Heaven through that difficulty. These difficult lessons teach us that man’s extremity is God’s opportunity, and if we will be humble and faithful, if we will be believing and not curse God for our problems, He can turn the unfair and inhumane and debilitating prisons of our lives into temples—or at least into a circumstance that can bring comfort and revelation, divine companionship and peace. God was not only teaching Joseph Smith in that prison circumstance but He was teaching all of us. Well, without trying to determine which of these kinds of experiences in our life are “mandatory” and which are “optional” but still good for us, may I suggest just a very few of the lessons learned at Liberty—those experiences that were “school teachers” to Joseph and can be to us, experiences that contribute so much to our education in mortality and our exaltation in eternity. In selecting these lessons I note yet another kind of blessing that came out of this adversity. To make the points that I am now going to try to make in my message to you, I have drawn directly upon the revelatory words that came from the lips of Joseph Smith during this heartbreaking time, words that we now have canonized as sacred scripture in the Doctrine and Covenants. I guess we’re not supposed to have favorite scriptures, and I have enough of them that you won’t be able to pin me down to one or two, but certainly any list of my favorite scriptures would have to include those written from the darkness of Liberty Jail. So what we instantly learn is that God was not only teaching Joseph Smith in that prison circumstance but He was teaching all of us, for generations yet to come. What a scriptural gift! And what a high price was paid for it! But how empty would our lives as Latter-day Saints be if we did not have sections 121, 122, and 123 of the Doctrine and Covenants. God certainly turned adversity into blessing in giving us those sacred writings and reflections, so pure, noble, and Christian in both tone and content, yet produced in such an impure, ignoble, and unchristian setting. Now then, three lessons from Liberty Jail: May I suggest that the first of these is inherent in what I’ve already said—that everyone, including (and perhaps especially) the righteous, will be called upon to face trying times. When that happens we can sometimes fear God has abandoned us, and we might be left, at least for a time, to wonder when our troubles will ever end. 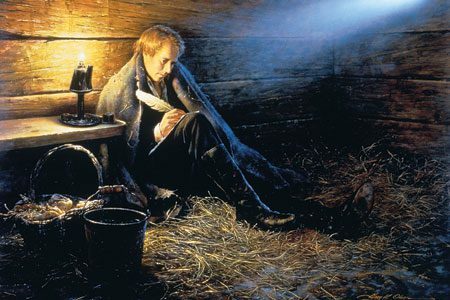 As individuals, as families, as communities, and as nations, probably everyone has had or will have an occasion to feel as Joseph Smith felt when he asked why such sorrow had to come and how long its darkness and damage would remain. We identify with him when he cries from the depth and discouragement of his confinement: “O God, where art thou? . . . How long shall thy hand be stayed . . . ? Yea, O Lord, how long shall [thy people] suffer . . . before . . . thy bowels be moved with compassion toward them?” (D&C 121:1–3). That is a painful, personal cry—a cry from the heart, a spiritual loneliness we may all have occasion to feel at some time in our lives. But whenever these moments of our extremity come, we must not succumb to the fear that God has abandoned us or that He does not hear our prayers. He does hear us. He does see us. He does love us. When we are in dire circumstances and want to cry “Where art Thou?” it is imperative that we remember He is right there with us—where He has always been! We must continue to believe, continue to have faith, continue to pray and plead with heaven, even if we feel for a time our prayers are not heard and that God has somehow gone away. He is there. Our prayers are heard. And when we weep He and the angels of heaven weep with us. When what has to be has been and when what lessons to be learned have been learned, it will be for us as it was for the Prophet Joseph. Just at the time he felt most alone and distant from heaven’s ear was the very time he received the wonderful ministration of the Spirit and wonderful, glorious answers that came from his Father in Heaven. Into this dismal dungeon the voice of God came, saying: “My son, peace be unto thy soul; thine adversity and thine afflictions shall be but a small moment; And then, if thou endure it well, God shall exalt thee on high; thou shalt triumph over all thy foes” (D&C 121:7–8). Even though seemingly unjust circumstances may be heaped upon us and even though unkind and unmerited things may be done to us—perhaps by those we consider enemies but also, in some cases, by those whom we thought were friends—nevertheless, through it all, God is with us. Secondly, we need to realize that just because difficult things happen—sometimes unfair and seemingly unjustified things—it does not mean that we are unrighteous or that we are unworthy of blessings or that God is disappointed in us. Of course sinfulness does bring suffering, and the only answer to that behavior is repentance. But sometimes suffering comes to the righteous, too. You will recall that from the depths of Liberty Jail when Joseph was reminded that he had indeed been “cast . . . into trouble,” had passed through tribulation and been falsely accused, had been torn away from his family and cast into a pit, into the hands of murderers, nevertheless, he was to remember that the same thing had happened to the Savior of the world, and because He was triumphant, so shall we be (see D&C 122:4–7). In giving us this sober reminder of what the Savior went through, the revelation from Liberty Jail records: “The Son of Man hath descended below them all. Art thou greater than he?” (D&C 122:8). No. Joseph was not greater than the Savior, and neither are we. And when we promise to follow the Savior, to walk in His footsteps and be His disciples, we are promising to go where that divine path leads us. And the path of salvation has always led one way or another through Gethsemane. So if the Savior faced such injustices and discouragements, such persecutions, unrighteousness, and suffering, we cannot expect that we are not going to face some of that if we still intend to call ourselves His true disciples and faithful followers. And it certainly underscores the fact that the righteous—in the Savior’s case, the personification of righteousness—can be totally worthy before God and still suffer. Very early in the Prophet Joseph’s ministry, the Savior taught him this doctrine. After speaking of sufferings so exquisite to feel and so hard to bear, Jesus said: “I, God, have suffered these things for all, that they [and that means you and I and everyone] might not suffer if they would repent” (D&C 19:16). In our moments of pain and trial, I guess we would shudder to think it could be worse, but the answer to that is clearly that it could be worse and it would be worse. Only through our faith and repentance and obedience to the gospel that provided the sacred Atonement is it kept from being worse. Furthermore, we note that not only has the Savior suffered, in His case entirely innocently, but so have most of the prophets and other great men and women recorded in the scriptures. Name an Old Testament or Book of Mormon prophet, name a New Testament Apostle, name virtually any of the leaders in any dispensation, including our own, and you name someone who has had trouble. My point? If you are having a bad day, you’ve got a lot of company—very, very good company. The best company that has ever lived. Now, don’t misunderstand. We don’t have to look for sorrow. We don’t have to seek to be martyrs. Trouble has a way of finding us even without our looking for it. But when it is obvious that a little time in Liberty Jail waits before you (spiritually speaking), remember these first two truths taught to Joseph in that prison-temple. First, God has not forgotten you, and second, the Savior has been where you have been, allowing Him to provide for your deliverance and your comfort. As the prophet Isaiah wrote, the Lord has “graven thee upon the palms of [His] hands” (Isa. 49:16), permanently written right there in scar tissue with Roman nails as the writing instrument. Having paid that price in the suffering that They have paid for you, the Father and the Son will never forget nor forsake you in your suffering. (See Isa. 49:14–16; see also 1 Ne. 21:14–16.) They have planned, prepared, and guaranteed your victory if you desire it, so be believing and “endure it well” (D&C 121:8). In the end it “shall be for thy good” (D&C 122:7), and you will see “everlasting dominion” flow unto you forever and ever “without compulsory means” (D&C 121:46). When we … want to cry “Where art Thou?” it is imperative that we remember He is right there with us – where He has always been! Thirdly, and lastly, may I remind us all that in the midst of these difficult feelings, when one could justifiably be angry or reactionary or vengeful, wanting to return an eye for an eye and a tooth for a tooth, the Lord reminds us from the Liberty Jail prison-temple that “the rights of the priesthood are inseparably connected with the powers of heaven, and that the powers of heaven cannot be controlled nor handled only [or “except”] upon the principles of righteousness” (D&C 121:36). Therefore, even when we face such distressing circumstances in our life and there is something in us that wants to strike out at God or man or friend or foe, we must remember that “no power or influence can or oughtto be maintained . . . [except] by persuasion, by long-suffering, by gentleness and meekness, and by love unfeigned; . . . without hypocrisy, and without guile” (D&C 121:41–42; emphasis added). It has always been a wonderful testimony to me of the Prophet Joseph’s greatness and the greatness of all of our prophets, including and especially the Savior of the world in His magnificence, that in the midst of such distress and difficulty they could remain calm and patient, charitable, and forgiving—that they could even talk that way, let alone live that way. But they could, and they did. They remembered their covenants, they disciplined themselves, and they knew that we must live the gospel at all times, not just when it is convenient and not just when things are going well. Indeed, they knew that the real test of our faith and our Christian discipleship is when things are not going smoothly. That is when we get to see what we’re made of and how strong our commitment to the gospel really is. Surely the classic example of this is that in the most painful hours of the Crucifixion the Savior could say, “Father, forgive them; for they know not what they do” (Luke 23:34). That is a hard thing to ask when we’re hurting. That is a hard thing to do when we’ve been offended or are tired or stressed out or suffering innocently. But that is when Christian behavior may matter the most. Remember, “the powers of heaven cannot be controlled nor handled [except] upon the principles of righteousness.” And do we need the powers of heaven with us at such times! As Joseph was taught in this prison-temple, even in distress and sorrow we must “let [our] bowels . . . be full of charity towards all men . . . ; then [and only then] shall [our] confidence wax strong in the presence of God; and . . . the Holy Ghost shall be [our] constant companion” (D&C 121:45–46). Remaining true to our Christian principles is the only way divine influence can help us. The Spirit has a near-impossible task to get through to a heart that is filled with hate or anger or vengeance or self-pity. Those are all antithetical to the Spirit of the Lord. On the other hand, the Spirit finds instant access to a heart striving to be charitable and forgiving, long-suffering and kind—principles of true discipleship. What a testimony that gospel principles are to apply at all times and in all situations and that if we strive to remain faithful, the triumph of a Christian life can never be vanquished, no matter how grim the circumstance might be. How I love the majesty of these elegant, celestial teachings taught, ironically, in such a despicable setting and time. As a valedictory to the lessons from Liberty Jail, I refer to the last verse of the last section of these three we have been referring to tonight. 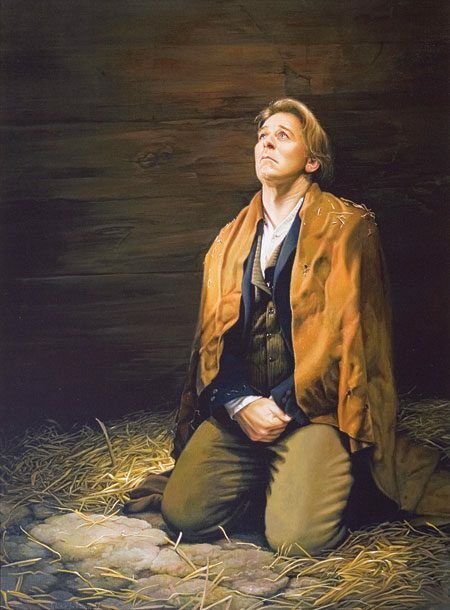 In this final canonized statement of the Liberty Jail experience, the Lord says to us through His prophet, Joseph Smith: “Therefore, dearly beloved brethren [and sisters, when we are in even the most troubling of times], let us cheerfully do all things that lie in our power; and then may we stand still, with the utmost assurance, to see the salvation of God, and for his arm to be revealed” (D&C 123:17; emphasis added). What a tremendously optimistic and faithful concluding declaration to be issued from a prison-temple! When he wrote those lines, Joseph did not know when he would be released or if he would ever be released. There was every indication that his enemies were still planning to take his life. Furthermore, his wife and children were alone, frightened, often hungry, wondering how they would fend for themselves without their husband and father. The Saints, too, were without homes and without their prophet. They were leaving Missouri, heading for Illinois, but who knew what tragedies were awaiting them there? Surely, to say it again, it was the bleakest and darkest of times. I testify that the Father and the Son do live. And I testify that They are close, perhaps even closest via the Holy Spirit, when we are experiencing difficult times. I testify that heaven’s kindness will never depart from you, regardless of what happens (see Isa. 54:7–10; see also 3 Ne. 22:7–10). I testify that bad days come to an end, that faith always triumphs, and that heavenly promises are always kept. In the words of the Liberty Jail prison-temple experience, my young friends, “Hold on thy way. . . . Fear not . . . , for God shall be with you forever and ever” (D&C 122:9). 1. In Joseph Smith, History of the Church of Jesus Christ of Latter-day Saints, 2nd edition, ed. B. H. Roberts (Salt Lake City: The Church of Jesus Christ of Latter-day Saints, 1948), vol. 3, pp. 190–91. 2. Alexander McRae, quoted in B. H. Roberts, A Comprehensive History of The Church of Jesus Christ of Latter-day Saints, Century One (Salt Lake City: The Church of Jesus Christ of Latter-day Saints, 1930), vol. 1, p. 521. 3. History of the Church, vol. 3, p. 290. 4. Letter to Isaac Galland, March 22, 1839, in Personal Writings of Joseph Smith, rev. ed., comp. Dean C. Jessee (Salt Lake City: Deseret Book, 2002), p. 456. 5. Letter to the Church in Caldwell County, Dec. 16, 1838; “Communications,” Times and Seasons, April 1840, p. 85. 6. Letter to Emma Smith, March 21, 1839, in Personal Writings, p. 449. 7. Letter to Emma Smith, April 4, 1839, in Personal Writings, pp. 463, 464; spelling and capitalization standardized. 8. See Comprehensive History, chapter 38 heading, vol. 1, p. 521; see also p. 526. 9. See, for example, “A Choice Seer,” Ensign, August 1986, p. 12. 10. “Text of Address by Pres. Smith at Liberty Jail Rites,” Church News, Sept. 21, 1963, p. 14; emphasis added.